3-2-1 ACTION! It’s time to start thinking visually, but not with photos this time, but with the magic of video! This week we analyzed different camera techniques used in movies and how they have the power to turn an ordinary dialogue exchange into a stunning movie scene. Next week is gonna be fun because we get to utilize what we’d learned this week and translate the knowledge into our own videos. Although I’m an audio-lover 4life, there was a point in my life where I’d created videos every other week. I’d been video editing since I was 12, first using Windows Movie Maker as a video editing program. I made little music videos using different cartoons and uploaded them to my first Youtube account. However, due to copyright infringement, Youtube shut down the account taking all of my videos with it. That really sucked, but I ended up creating a new account and continuing to create videos, just cutting down on how much copyrighted material I used. Once I started college, I ended up getting a Mac computer with no Windows Movie Maker on it and I panicked. I discovered a glorious video editing program for Mac called Final Cut Pro from one of my buddies. This was WAY harder to use than WMM, but most of the structures were the same; it had a timeline editor, filter effects, and different export options for video sharing. I’d been using this program since then. I usually dont have the time to create videos like the ones I used to make anymore, but now I have a reason to! BRING IT ON! The movie I chose to review was Pulp Fiction by Quentin Tarantino. I watched the scene where Vincent accidentally shoots Marvin in the back of the car. First I watched the scene without the audio on, second I listened to just the audio, and finally I watched and listened at the same time to see how much the camera and sound played a part in the scene. Clearly they both made made a huge difference. Check out the “3 Time Analyze” post here! This post was dedicated to Pulp Fiction as a whole rather than just one scene. I gave 3 facts about the movie, proved that it could be a Crime-Thriller-Comedy film through tropes, and created a montage demonstrating the 3 facts. I used Final Cut Pro and a few video clips of the movie to create the montage. Check out the somewhat long post here! Who would ever think that Mitt Romney could actually be an entertaining human being? Well, with the power of a little video editing and Youtube, he can unwillingly become a mainstream celebrity. This week I discussed how Youtube has a genre that makes politics entertaining and even funny. On the class Youtube Genre document I called this genre “Funny/Entertaining Politics.” If taken seriously enough, these videos have the power to influence an individual’s view of the politician. Check out this funny informative post here! 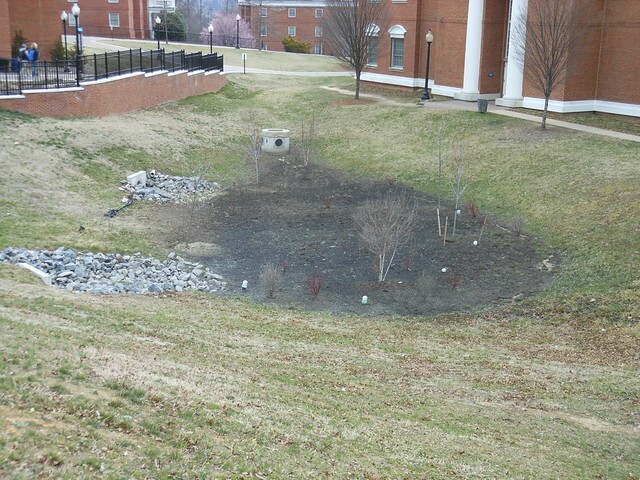 This week I did the 2 Daily Creates “Buried Treasure” and “Greatest Gift Recieved.” For the Buried Treasure one, I took a picture of a giant, dark pit in the ground and imagined it was the world’s oldest tar pit. In this very pit, a few dinosaurs were unfortunate enough to fall in and never swim their way out. For some reason, this pit reminded me of something out of the movie Jurassic Park, and I think it would be a great place to shoot a dinosaur movie! 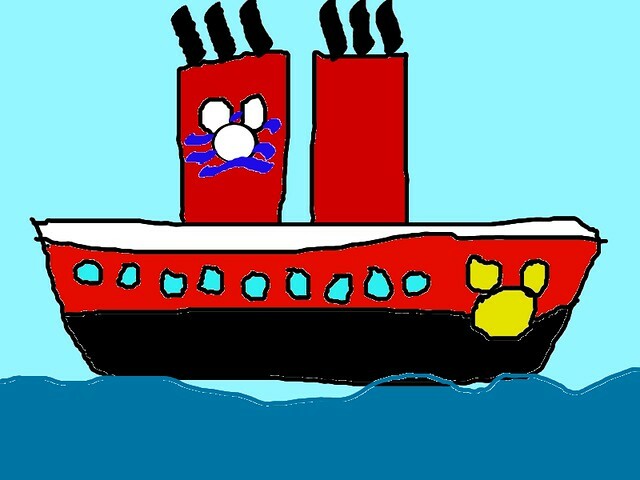 For the 2nd one, I drew a picture of the greatest birthday gift I had ever received, a 1 week vacation on the Disney Cruise Ship. This 1 week ended up being a week and 3 days because our ship was stuck out in the middle of the ocean due to a hurricane slamming our port in Florida. Hey, my family wasn’t complaining though; it was 3 extra days for free! Sounds like the best birthday present ever, right? Well it is…..untilll……FLYING DINOSAURS SHOW UP AND ATTACK THE SHIP!! Anyone ever notice how Gary Jules in the song “Mad World” sounds ALOT like Winnie the Pooh? I made the connection when I first heard the song, but never got around to making a video for it. Until now! For one of my video assignments I’m planning to do the “Music Video” challenge. I’ll be using a scene from the movie “Pooh’s Grand Adventure: The Search for Christopher Robin” when poor Pooh is depressed about losing Christopher Robin and he sings a sad song about it. I found this scene fitting because it is the ONLY time in the Winnie the Pooh franchise that you’ll see him this upset about something, which also sort of goes with Gary Jules’ depressing song. I plan to use Final Cut Pro to align the clips from the movie together and also add the music. I dont know if I’ll be able to make the video with the whole song since I’m sure that I’ll run out of sad footage and I’d end up having to desperately reuse footage. I’ll use enough of the song to get the main message across; that Jules is secretly Winnie the Pooh in disguise. In my other video assignment I plan to be the lead singer of a boy band and have no shame. In other words, I’m gonna have some fun with the “Lip Synch Your Favorite Song” challenge! For this one I want to “sing” one of my favorite songs since I was a kid, Nsync’s “For the Girl Who Has Everything.” Nsync and Backstreet Boys were me and my sister’s favorite bands and we would always take turns singing the songs when we were little. I think she’ll get a good kick out of me lip syncing the song when I do it! Instead of Final Cut Pro like I’m using in the first assignment, I have to use IMovie because I sadly don’t know how to record from a webcam through Final Cut. I’m going to play the real song in the background as I sing along with it, and then when I save it, I’m going to remove the audio of me singing and replace it with the actual song; uploading the mp3 to IMovie and attaching it to the video. Actually, I despise IMovie, so I might just record the webcam video with it and THEN switch to Final Cut to do the editing. Nsync will have a new member, the young heartthrob Amber May! I’m gonna LOVE this! Next week I’m gonna make some daring dives into the video editing pool and hopefully not drown. I’ve got a floaty on each arm to help me through the dangerous waters though; one being Final Cut Pro and the other IMovie (though the IMovie float seems to be a bit deflated…) So lights, camera, ACTION! It’s time for me to become the next Tarantino! As a continuation of the last Pulp Fiction post, here are 3 interesting facts about the movie. Later I have a montage demonstrating these facts. What this means is that the sequences within the story are out of chronological order, but are still connected to one another. Tarantino has some element of this in a number of his movies, such as Reservoir Dogs and Kill Bill. He connects the “chapters” of his stories by introducing placards in between scenes explaining what the new segment is called. 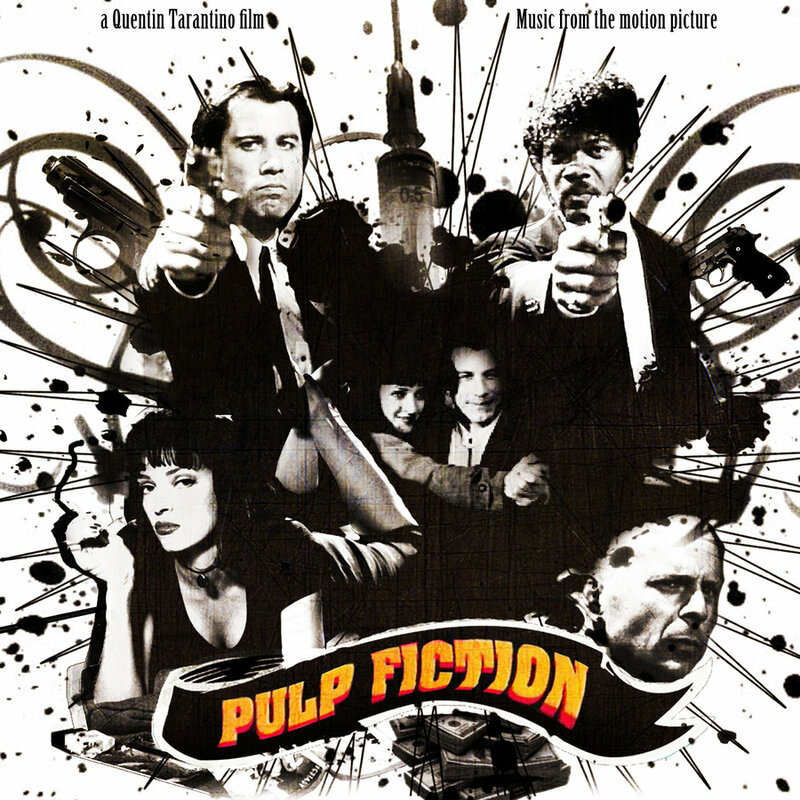 This unique style of storytelling, among other things, helped Pulp Fiction gain 7 Oscar nominations in the 90’s and later influenced other nonlinear styled movies. Tarantino knew that the audience would’ve loved to see the “Saturday Night Fever” and “Grease” star hop back onto the dance floor. He’d originally told Travolta to do the twist in his scene with Uma Thurman. Fact 3: The F-word was said 265 times in the whole movie. If there were an Oscar for “Most Potty Mouthed” I think this movie would be easily nominated. According the the Wiki article above, 265 instances of the word being said in the 154min film is equal to someone saying it 1.72 times per minute. Holy f**k!! 4. Dropped a Bridge on Him: “a character is permanently written out of a show, especially killed off, in a way that is unexpectedly anti-climactic or mundane.” (Vincent is show instantly when he comes out of the bathroom, not even having a chance to respond. Nooooow I shall present my montage, doing my best to show the 3 facts from earlier. Here are the 3 videos I used to create the montage, hope you enjoyed it! I LOVE Tarantino’s movies! He always seems to know what camera effects to use at just the right moments to enhance the scene. I chose to analyze a famous scene from the movie Pulp Fiction where the two main characters and their hostage are in a car debating. I’m going to take notes as I’m watching the clip so I can jot them down as soon as I notice something, so I apologize in advance that this will not be in paragraph form. 1. According to Roger Ebert, things in the foreground are more important than what’s in the background. Which is why Marvin, in the back seat, is blurred out when the 2 important guys are talking in the front. Also in the front, the dominant individual is on the right while the “sidekick” is on the left. 2. In the beginning, the camera doesn’t pay attention to who’s talking, but only the expressions given off by Jules; showing how he doesn’t have much interest in what Vincent is saying to him. This also functions as the scene’s Establishing Shot (according to the Top 20 Cinematic Techniques video), showing where this scene is going to play out rather than jumping straight into the characters’ argument. I noticed Tarantino does this a lot in his movies; he sets the stage before focusing on the characters’ interactions. After this moment, the camera begins to cut between whomever is talking. 3. When Marvin starts talking at 0:49, the camera is still blurry, probably implying that he’s still not invited into Vincent and Jules’ conversation. However, after he’s done speaking, the camera cuts to Marvin’s point of view from the backseat, but not the direct POV through his eyes. This makes the audience seem like an invisible character next to Marvin in the backseat, watching this play out from a different perspective. Even though Vincent is clearly talking to Marvin now, we still don’t get to see him in the shot for the rest of the scene. Probably showing how he’s still not important enough in that scene to get his own screen time. 4. I guess the cut to the back window as the blood covers it is a way to show the gruesomeness, STILL without showing Marvin. He just wasn’t meant to be in this scene, yet he’s extremely important. 5. After the blood explosion, both Vincent and Jules are being showed in the shot at the same time, showing how theyre both imporant at the moment. However Jules seems to be more dominant in the shot because the camera is shot from his side of the car. Imagine of this moment was shot through the front windshield of the car. This would put Vincent and Jules on equal levels. Tarantino didn’t want this because Jules is clearly the boss between the two. I also noticed that Vincent is more blurred out in the background, not as much as Marvin was, but just enough to show that Jules in the foreground is more important. 1. The soothing sound of the car driving along the road was the first thing I noticed. The sound sort of puts us in the car with them. Despite the fact that they’re arguing, the sound of the car is still sort of relaxing. 3. The dialogue seems like just an average human conversation that escalated a bit too much. Vincent was so involved in the conversation that he wasn’t paying attention to his gun. I’m trying to imagine this scene as if I hadn’t already seen the movie. If i were just listening to it as an audio drama, I wouldn’tve known why a random gun went off if Vincent hadn’t said what happened. Speaking of the way he said it, I found it hilarious that he said” Aw, I shot Marvin in the face…”all casually, as if he didn’t just SHOOT SOMEONE IN THE FACE! 4. The atmosphere in the car changed from heated arguing to panic after Marvin got shot. Without even being there, the audience can feel how frantic the characters feel just by how the dialogue is layered on top of one other, sentences being cut off and shouting. Step 3: Watching and Listening! 1. Tarantino uses the audio dialogue and the camera shots to keep us at the center of the action in the car without even being there. 2. Huh…I didnt notice this before. The speaking dialogue is so clear, as if it was recorded in another, more enclosed location other than in the car. I know if I tried to record myself talking in my car, I would still get some kind of background noise and my voice wouldn’t be heard as easily. 3. At 0:33 Vincent looks directly at Jules to confront him head on, after he’d been looking forward and away from him the whole time. He does this to show his seriousness in the topic. Meanwhile Jules doesn’t once turn to look at him. This isn’t because he’s busy driving (because he later turns to look at him after Marvin was shot) but it’s because he had no intent to change his mind on the matter. His decision was final. 4. At 0:52 Vincent does the turn again to talk to Marvin just as he did when he got serious about Jules’ responses. He ends up sounding alot more serious during those 2 turns in this scene. 5. Now we finally see Jules look at something other than the road at 1:00 (see, told you he was just ignoring Vincent’s glance earlier!) He looks at the back seat multiple times, as his voice gets louder and louder, clearly more concerned about what just happened than what they were discussing before. Maaann, this couldve all been avoided if Marvin had an opinion. Oh well. I never noticed how much went into this scene, and if I did I was probably not consciously aware of it. Tarantino clearly takes all aspects of perspective and audio into account when he creates these legacies, and he tries to make each scene a slice-of-life scenario; things that could happen to any average person.